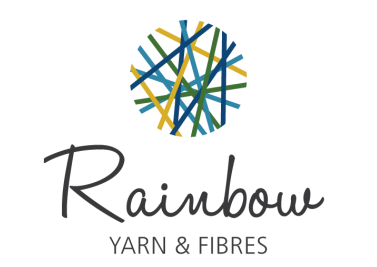 Rainbow Yarn and Fibres is a full-service yarn shop providing fibers, patterns, and supplies for knitting, spinning, and dyeing. We also offer classes for those interested in learning to knit or crochet. Rainbow Yarn has the largest selection of hand knitting yarns and spinning supplies in the Memphis Metro area. Come in and browse our extensive collection of patterns, books and magazines. A friendly and knowledgeable owner and staff will assist you with your selection, questions and give advice if necessary. Welcome to the Rainbow Yarn Website. Our business has been in existence for almost 12 years in the same location. We carry a wide variety of yarns, books, magazines, knitting needles and crochet hooks. We will also order yarn if we don’t have a color, quantity or style. We love to teach. As a livelong knitter and designer, (learned knitting at age 5) and hand spinner, I strive to teach people all I know about yarn, knitting, fitting garments, making changes to patterns, yarns and designs. We want everyone to become an independent great knitter. I am also a published designer; my designs are part of the 101 design series books, published by Storey Publishing. That said, I want to clarify the most commonly asked questions regarding our teaching schedule and rules. We offer “Help” classes throughout the week. All help classes are drop in, no appointment necessary, $10.00 fee for two hours. If you buy the yarn from us and need consultation, fixing a stitch or checking gauge, please come in any time during the day to get help and advice at no charge. If, however, you need to reshape a neckline, rip out or other more difficult and time consuming issues, please come to one of our help classes (Tuesday, Wednesday, Friday morning or Wednesday night), or schedule a private appointment. Private appointments can be scheduled Mondays, Thursday or Saturday mornings. If the yarn was NOT purchased from us, we will still help you finish your project, but you will be ALWAYS asked to pay for our time. We try to be fair and accommodating. Help Classes are also there to help you with a project we don’t offer at class time or if you had to miss the class entirely. If you already paid the class fee and could not attend the class, you will NOT be charged for help class. If in doubt, please ask to clarify, we have several teachers and we will work things out depending on the situation. Again, we try to be easy and accommodation for any situation. - - We gladly sell you one skein and hold the rest of the dye lot if you are not sure about a project. We let you return unused merchandise in good condition for cash (30 days) or store credit. We will hold merchandise for 30 days if you need to spread out your expenses. We have a generous layaway policy with larger purchases, please ask. We know times are tough and we will work with you to make things possible. BUT: No return on knitting needles unless the package has not been opened. Thank you all for supporting our small business. It has been fun so far (and a lot of work), but we love to work with you.